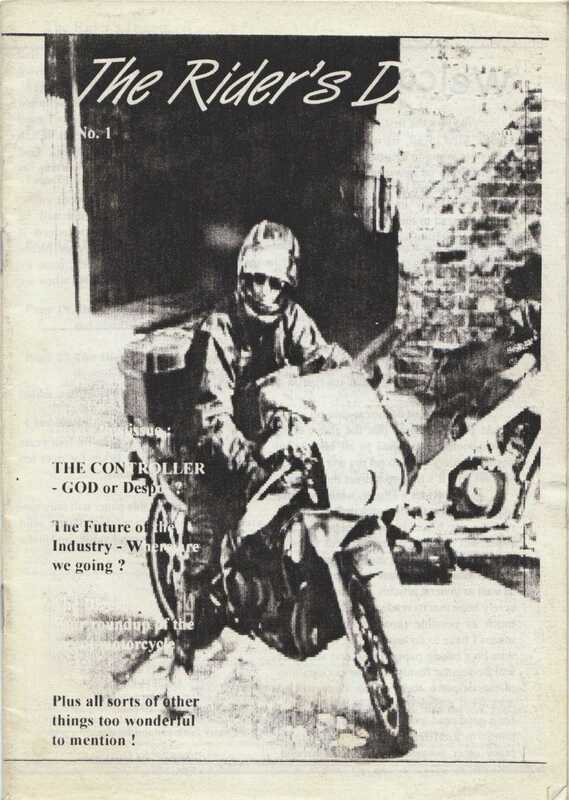 The Rider’s Digest was started in 1997 in the United Kingdom as a free photocopied newsletter for London couriers, financed by despatch industry recruitment advertising and evolved into a full colour glossy A5 magazine. 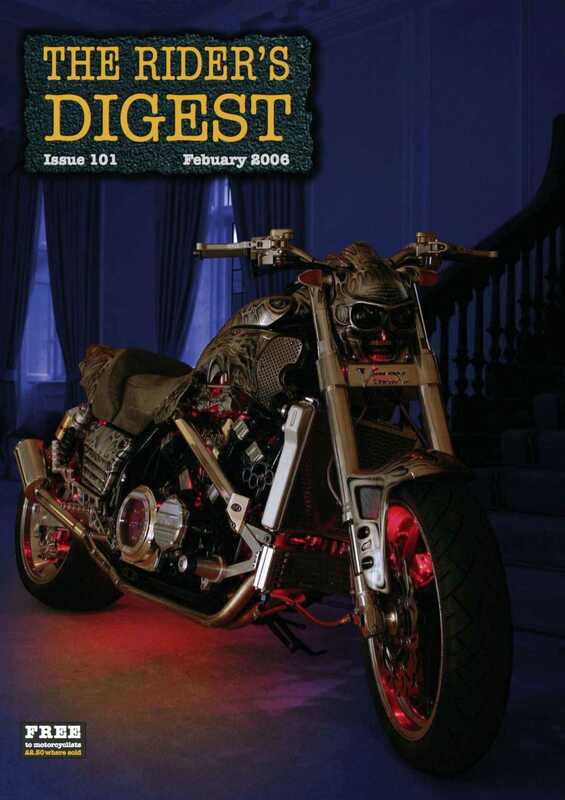 January 2006 saw new owners and a new editor, Dave Gurman, taking over. 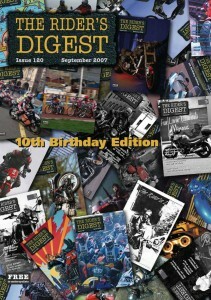 The magazine’s circulation and advertising base developed steadily and in May 2008 it started to circulate nationally – largely through a network of rider venues like the Ace Cafe (London), Squires (Yorkshire), The Ponderosa (Denbighshire) and the Hartside Café (Cumbria) but also through well known motorcycle outlets such as Hein Gericke, J&S Accessories and Infinity Motorcycles and in the summer of that year monthly circulation rose to 32,000 copies. 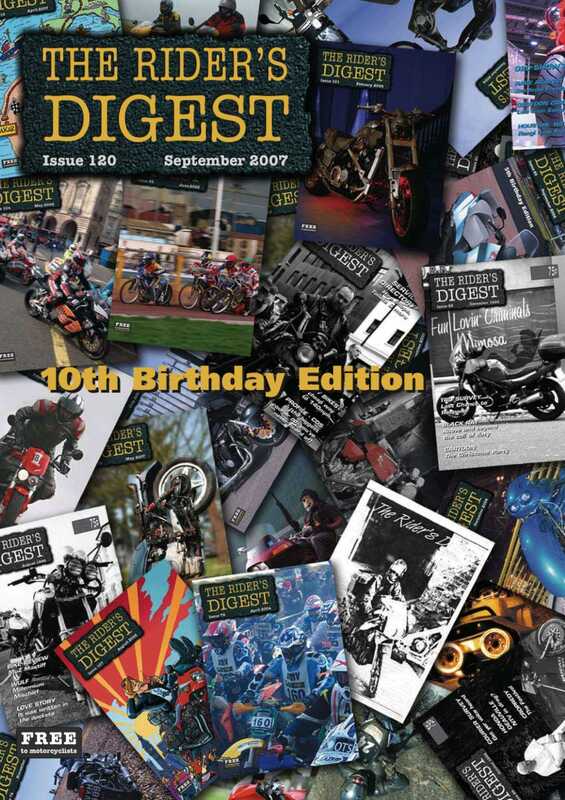 The Rider’s Digest developed a reputation for ‘real world’ motorcycle writing covering all aspects of life on two wheels and the Riders’ Lives questionnaire has featured the answers of many ‘Celebrities’ including Scottish novelist Iain Banks, motorcycle & truck racer Steve Parrish, 8 times World Champion motorcycle racer Phil Read, Prince of Darkness – Damned frontman David Vanian, BBC Radio 1 DJ Mary Anne Hobbs and motorcycling MP’s Lembit Öpik and Stephen Ladyman alongside dozens of other riders. A retail version was released in early 2009, with the first edition being launched at Jack’s Hill Café a popular biker venue on the A5 near Towcester, Northants. 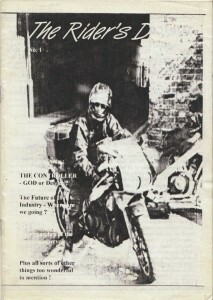 The editor left a few months later (having produced issues 101 to 141) and the free magazine was scrapped shortly after. 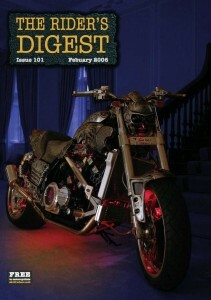 The retail version ceased publication in September 2011, citing economic challenges and the recession in the motorcycle industry. The magazine was revived by Dave Gurman in March 2012 as an online only publication featuring most of the old contributors and has been steadily regaining the loyal readership that it had accumulated across fourteen years and 163 issues. It has also been picking up a considerable international following and has featured contributions from the Republic of Ireland, Cuba, the USA, France, Germany, Greece and Australia. The opinions and comments of contributors within this magazine do not necessarily reflect the opinions of the editor. Just a query to ask if your publication would like an editorial from Chris Cherry, biker, accredited battlefield guide, author of the Mad Game Series of Books that were written to benefit The Royal British Legion and Blood Bikes Manchester. Chris and I run Battlefields On A Bike guiding groups of bikers, with an interest in WW1 and WW2, around the battlefields of Europe. Visiting battlefields on a bike is different from any other motorcycle touring as we paint a picture to the group of the conflict that took place across a wide geography. Please do visit our website, as noted on this document, and if you like what you see please contact me. Sounds like it could well be of interest to our readers, we’ll have a look at your site.